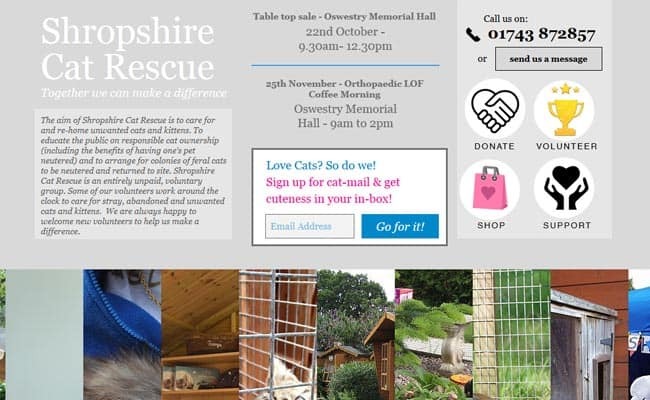 The animal welfare / pet rescue / rehoming organisation below is involved with pet welfare and is looking for people who are interested in giving new homes to pets that have been abandoned or are without homes. If you want to get in touch, please remember that organisations like this typically only work during office hours - so please don't telephone at other times - and may take a little time to answer emailed enquiries. Animal Welfare Groups often have limited manpower to deal with email enquiries so please don't use this form unless you are interested in adopting a pet, would like to make an appointment to view a pet you are interested in adopting, or unless you are volunteering to help in other ways. For the same reason, some pet rescue organisations may take several days to reply, so please be patient! Thank you. Please help us by sharing this!